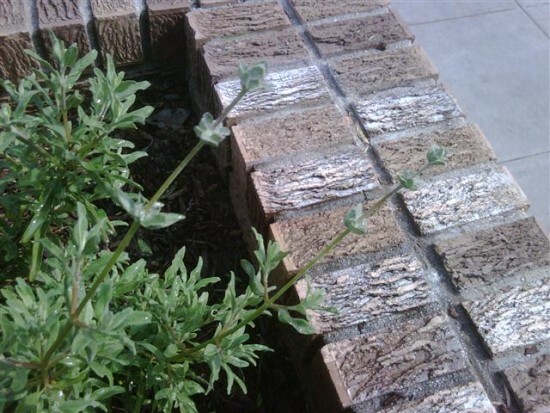 Almost ready to bloom - The Cleveland Sage out in front. We had a small but loyal group of four people clean up the Cahuenga Library today – all of us veterans: Damon and Guia Wood, Amanda and myself, now branding ourselves as the “CahuenGardeners.” The amount of trash was moderately low, save for the discarded plastic hamper in the bushes by the alley and the bunches of dirty blankets near it (Again, I called 3-1-1 from my cellphone to get it picked up). 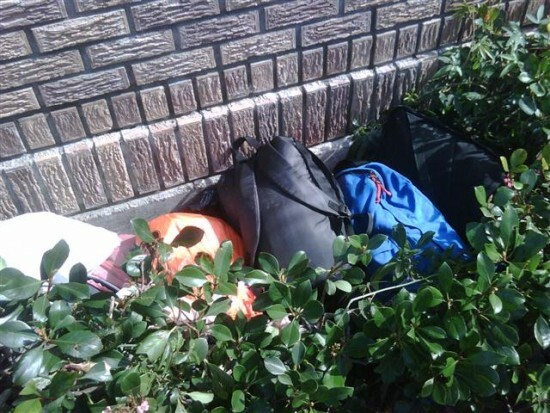 There was also a homeless person’s belongings stashed away behind the bushes on the west side of the building. It was too much for us to discard, so we left it alone. I’m trying to get the homeless service organization PATH to outreach to the person, who wasn’t there. We found this in the bushes, along with a bunch of blankets. 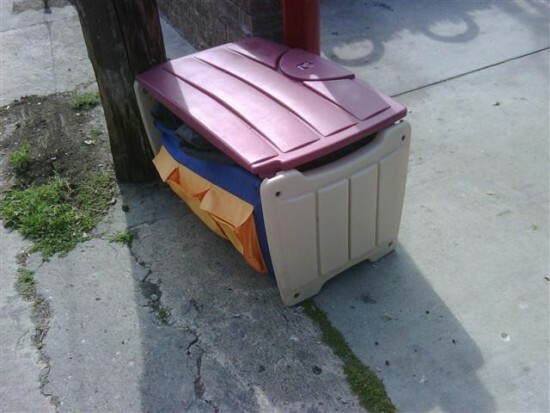 We put the blankets inside and called 3-1-1 for a bulky item pickup. A homeless person's belongings left here behind the bushes. Garden-wise, I raked the dead leaves from the back of the Library. Looks a lot neater now. I also raked them from this small section in the rear facing the alley side, thinking about planting a future addition to the garden next Fall. Thanks to the recent Fall and Winter rainstorms, I didn’t have to water the gardens for several months. In fact, today was the first watering I had to do in a long time. 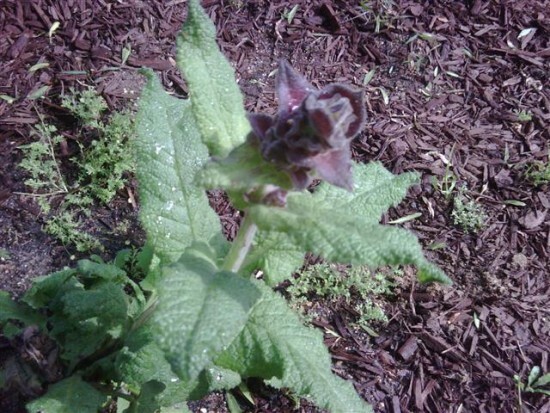 The last surviving Hummingbird Sage from Big Sunday is about to bloom as well! I’m also happy to report that Cahuenga wasn’t the only LAPL branch to have a cleanup and gardening event today. I found out yesterday via Facebook that the Arroyo Seco branch in Highland Park had its own cleanup and gardening event today, mainly to address graffiti and trash. I emailed their organizer, Trisha Gossett (a member of the Historic Highland Park Neighborhood Council) to offer them the best of success and some words of encouragement on their event, and also recommended they sustain their efforts through a regular cleanup/gardening maintenance activity with a small group just like we do here at Cahuenga. She replied, thanking me and thought the follow-up was a good idea. Looks like we’re gonna have a revolution in terms of community care for libraries in Los Angeles! Our next CahuenGardeners mini-cleanup/gardening event will be on Saturday, March 5.